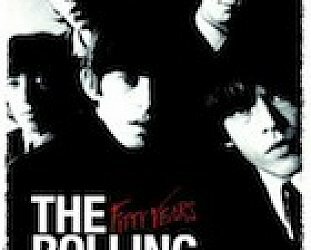 In his delightful if lightweight film That Thing You Do, director Tom Hanks puts at the centre of the story a Beatles-inspired pop band in the Sixties. In their search for a name they hit on “the Wonders”. But in a bid to be different they spell it “the Oneders”. Which works for them. But not for outsiders. A promoter pronounces it “the Oh-knee-ders” . . . and so the Wonders they become. 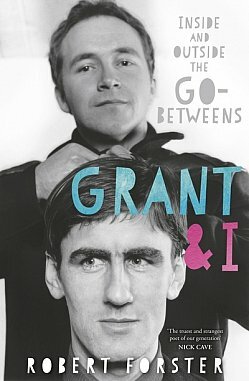 In this autobiographical book about his relationship with Grant McLennan with whom he co-founded the Australian band the Go-Betweens, Robert Forster mentions the name of one of his first bands. Being a young man of the academic persuasion and studying drama, he settled on “the Godots” which he says came with a jokey slogan that was never used, “The band you’ve been waiting for”. That is very funny and would have worked except, as he observes, Samuel Beckett (who wrote Waiting for Godot) didn’t travel far out of academia. When they entered a local Battle of the Bands they were billed as the Go Dots. They didn’t win the heat, clearly the Go Dots were not a band anyone had been waiting for. This is one of the few scatterings of laugh-aloud moments in Forster's autobiography – unless you consider the dark humorous undercurrents of a band destined to be critically acclaimed also rans for so much of their existence. When Forster notes, “We mightn't have had hits, but boy we'd been on some labels” it is with a dry eye. They were three albums and the same number of labels down, starting with the rising Postcard label out of Glasgow. Their eyes, even in their early days in the wasteland of Brisbane, had always been on Europe . . . and more specifically continental Europe because McLennan especially was of that persuasion. So here they were, Forster and McLennan, their common bond an appreciation of pop songs like the Monkees' Daydream Believer and Velvet Underground and also aiming for the intellectual and poetic ether in their lyrics. But they were very different people: Forster notes he was the grounded boy from suburbia who yearned to be a little different (just a little) and wrote a play about Oscar Wilde in school instead of the obligatory essay . . . and the more solitary McLennan whose father had died when he was six (“This remained very tender territory, never explored . . .”) with a flair for words and later a relationship which scarred him deeply. More deeply than he ever revealed, other than is some songs much later. 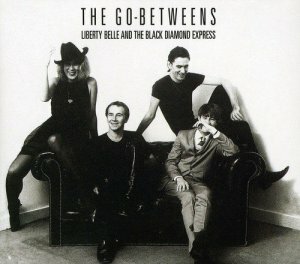 Inside and Outside the Go-Betweens is mostly inside in the first two-thirds, the relationship between the two explored and teased out, the series of misfires and wrong decisions with record companies, their failures written larger than their successes despite increasing critical acclaim. And then for various reasons – the breakdown of communication, women, labels, touring and such – it falls apart. McLennan becomes even more reclusive but his lyrics increasingly full of coded references to his relationships and childhood, they live in different countries, Forster is married and enjoying rural life in Germany . . . When they come back together, as seemed inevitable given their closeness, things were different. But differently the same. The final third of the book devolves too much into their solo releases and the lyrics reprinted to show the references . . .
And then Forster is diagnosed with Hep C . . . McLennan winds down and on the night he has invited friends to a party – only Forster shows early, others had been told to turn up later because Grant was tired -- he dies of a heart attack. There is palpable but constrained grief in Forster's writing about this as he reflects on “the precocious, approval-seeking schoolboy jeered at for having a David Bowie poster on his wall . . . and maybe he lacked a little love . . . and he needed a skin to protect that boy fired with enthusiasm, one that took the form of an arrogance, never checked, which attracted and repelled those he encountered”. Australia is blessed with rock musicians who can write elegant prose (few better than Don Walker of Cold Chisel whose Shots is compelling). 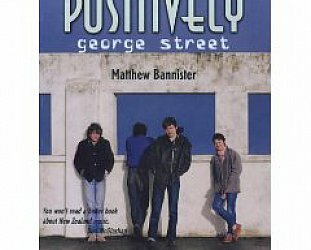 Forster, for much of this book, is in that company but the Go-Betweens were always a band which remained a passion for a select if large minority. Fans might have included REM and rock writers but wide acceptance mostly eluded them outside of pockets here and there. And because of that, this book is not for the casual rock reader who doesn't have albums like Spring Hill Fair or Liberty Belle and the Black Diamond Express close to the stereo. At its best however it is an insightful study of Self and a much loved and admired traveling companion from those formative teenage years into adulthood, and the price that is paid along the way. 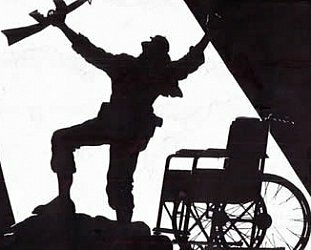 A story of a rare friendship and love . . . and the music which came because of it and sometimes despite the emotional and physical distances. Interestingly enough 32 years after Forster suggested the name for their group to McLennan, he was invited to open the Go Between Bridge, “the first new bridge to span the centre of Brisbane in forty years”. How different Brisbane might have been if that original name had stuck: The Godot Bridge really has a ring about it. 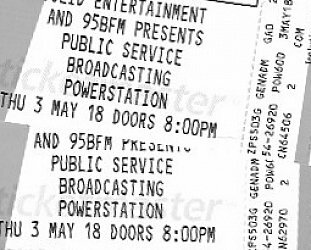 I was at that gig, too, but I thought it was at the late, lamented Gluepot, and the full Go-Betweens played at the Esplanade sometime around 16 Lovers Lane..memory very hazy..